AT&T Inc. agreed to buy DirecTV for $48.5 billion on Sunday, which increases the telecommunications company's base of video subscribers. The deal is expected to close within a year, but the Federal Communications Commission and antitrust regulators at the Department of Justice might not be keen on such a business marriage. The two companies compete directly in some states, meaning people would have fewer options when choosing a TV provider. Read More in BUSINESS. Militants stormed the parliament building on Sunday, killing two people and ransacking the legislature. The militants also said they carried out another attack on an Islamist group in Benghazi on Friday, taking the weekend's death toll to more than 70. The government said the attacks were a coup attempt, but the leaders of the attack said they were fighting for the will of the people. The government insists it's still in control. Read more in NEWS. Thirty-one children and one adult died when fuel caused a bus to go up in flames after it broke down in Fundación, Colombia. The bus was on its way back from a church event but was owned by a private company. An official said the driver was trying to pour the fuel into the malfunctioning engine when it exploded. The driver and seventeen other people survived. Read more in NEWS. A fungus called coffee rust has already caused more than $1 million in bean damage across Latin America. The fungus is especially deadly to Arabica coffee, the bean that makes up most high-end, specialty coffees. The U.S. is stepping in to help the farmers fight the damage, because your java is pricey enough already. Read more in BUSINESS. 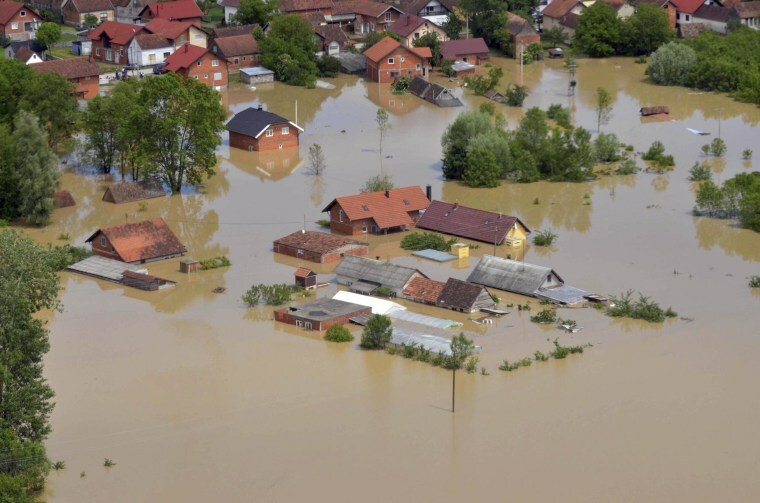 Three months worth of rain fell in three days, causing floods that caused landslides, threatened to inundate Serbia's main power plant, and disturbed un-exploded land mines left over from the region's 1990s war. People were encouraged to climb to their rooftops for rescue. At least two dozen people have died, with more casualties expected. Read more in NEWS. Did anyone actually go to the Billboard music awards? Michael Jackson performed from beyond the grave in hologram form and Justin Timberlake accepted his seven awards via satellite video. The King of Pop's hologram performed "Slave to the Rhythm," a song from Jackson's new posthumous album "Xscape," causing some in the audience to become emotional. Read more in POP CULTURE. The trend for some graduating students this year was to protest their commencement speakers for varying reasons, causing a few to cancel. One speaker backed out of his Haverford College speech after dozens of students and some professors campaigned against him speaking. The fill-in, William Bowen, former president of Princeton University, criticized the students heavily for their "immature" actions. Bowen received a standing ovation from the audience ... presumably the students and professors who hadn't rallied.